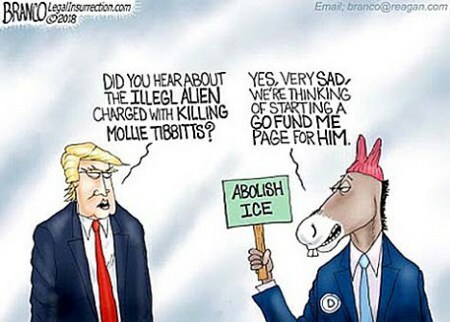 With the senseless murder of Mollie Tibbetts, Americans reel and lament yet another beautiful, young, White woman with a good hope for a bright future being slaughtered by yet another murderous invader of our country, the Left and their Democrat politicians choose as always to side with the illegal immigrant and choose to continue their cries to further open our nation’s borders to more things like Cristhian Bahena Rivera. Oh, and before any White-hating Liberal, Progressive, or non-White drags up some “Fact Checker” site that “debunks” the meme that the Left is using GoFundMe to donate money to Rivera, I’m not saying that they are… yet. But somebody is paying for Rivera’s attorney, Allan Richards, since he’s in private practice and not a public defender. This entry was posted on Sunday, August 26th, 2018 at 8:57 am and is filed under Politics, Society. You can leave a response, or trackback from your own site.